uPVC sash windows have come a long way. They are becoming better with each passing year. Since every manufacturer keeps innovating, it’s very hard to pick the best uPVC sash windows for 2019. In this article we will take a look at three of the larger manufacturers on the UK market. They are REHAU, Kommerling and Eurocell. REHAU is most probably the largest uPVC window supplier in the United Kingdom. Research suggests that about 15% of the doors and windows on the island are fitted with REHAU parts. Just like other manufacturers, REHAU’s windows are low-maintenance and can save you quite a bit of money on heating bills. Improving the energy efficiency is among the number one reasons to get uPVC sash windows – this is why the manufacturers always strive for an energy rating of “A”. REHAU profiles are among the few that can be used to manufacture triple glazed systems. It’s not just about the look – triple glazing can reduce external noises by half and the UV value down to 0.8 Wm2K. REHAU’s windows always come with a smooth, glossy finish – this is a guarantee that the windows you purchased will look like new for years to come. I won’t go as far as to say that they will never need painting, but you probably won’t have to refresh them in the next 10-15 years. REHAU is also big on security. Their profiles always utilize the best uPVC materials and various other parts. Handles, locking mechanisms, profile – all of those are top-notch when it comes to security. So, is REHAU among the best uPVC sash windows brands in 2019? Absolutely. Kömmerling is one of the most famous and well-respected uPVC windows manufacturers in the world. 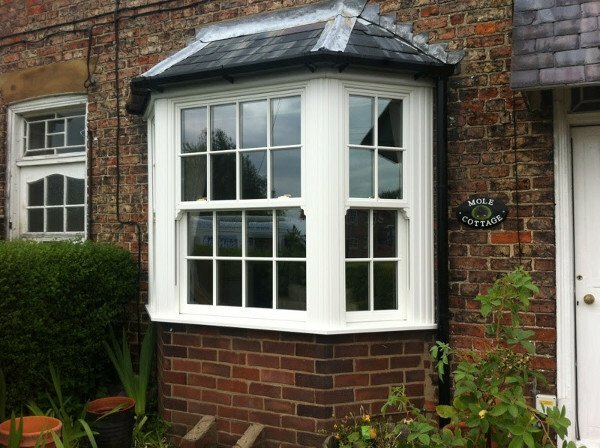 As our uPVC sash windows mostly use Kömmerling profiles, we can guarantee that the quality is top-notch in every regard. The company is one of the best European uPVC profile system manufacturers and offers an amazing range of products. Kömmerling’s window and door systems have been thoroughly tested before. They perform extremely well in all kinds of conditions. One of the tests took place above the sea level – 2300 metres to be precise. The windows were exposed for fifteen years – to strong UV radiation, bone-chilling temperatures and roaring storms. Needless to say, every part of the uPVC system was in pristine condition, 15 years later. If this doesn’t prove Kömmerling’s durability, I don’t know what will. Kömmerling is also very big on preserving the environment. The company continuously recycles used windows and PVC waste. In on itself, this is a huge plus in favour of Kömmerling. Kömmerling is most famous with three different systems. The C70 Gold chamfered system consists of 5 chambers, improving sound and heat insulation. If you care a lot about your design, the C70 Gold is the way to go. The O70 Gold system features an amazing Ovolo profile. This system can enhance absolutely any home and offers an excellent performance, paired with the classic appearance we all love. The Kömmerling Premiline is a new line of sliding patio doors. Combining this line with the C70 and O70 systems creates some amazing end results. There is a reason why so many window manufacturers have decided to trust Kömmerling. Their systems are not only durable, but have top-notch performance and a sleek design. Are Kömmerling part of the best uPVC sash windows in 2019? Absolutely. Eurocell is an UK company, specializing in the supply of various uPVC building elements. Fascias, guttering and soffits are just a miniscule example of what Eurocell is offering. However, the manufacturer also provides top-notch uPVC windows parts, just like REHAU and Kömmerling. Eurocell’s products are all manufactured and held to the highest quality standards. The company is also accredited by the British Board of Agrement and the British Standards Institute. Eurocell provides a wide range of uPVC windows designs. Modus and Modus S are among their most preferred options. In the first series, Eurocell reinvents window design and achieves some pretty impressive results. In the S series the company bets on the traditional design and pairs it with the modern efficiency, available in 2017. Needless to say, the results are more than satisfactory. Eurocell also offers various kinds of sash windows, casement windows, reversible uPVC windows, and tilt & turn windows. Just like the first two providers, energy efficiency is top of the line. Which uPVC Sash Windows Provider to Trust? As you can see from our review, all three companies have their strong sides. In the end, it all depends on what you want to achieve. The designs used are very similar, but have their own differences, making the choice a matter of preference. REHAU, Kömmerling and Eurocell’s windows parts are always extremely secure, energy efficient and durable. We trusted Kömmerling, because we believe they have reached the best level of balance between design, security and performance. Would you like to learn more, or order a product from us? 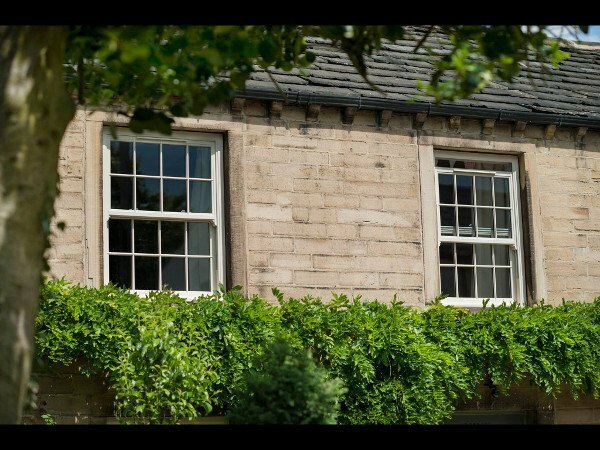 Visit our uPVC sash windows page and take a look around. If you have any questions – don’t hesitate to contact us! We will be happy to provide the information you need.